MOST REV. MYLO HUBERT C. VERGARA D.D. 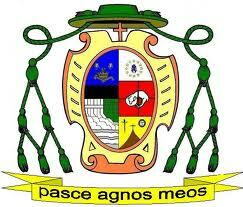 “Pasce agnos meos”, literally translated as “Feed my lambs” (Jn. 21, 17) - this is our new Bishop’s motto which expressed his faith like that of Peter who was called by Jesus to translate his love for him into action. Bishop Mylo Hubert Claudio Vergara officially takes over as the second Bishop of Pasig with the Canonical Installation this June 23, 2011, 3 p.m. at the Immaculate Conception Cathedral, Malinao, Pasig.